Introduction: How did the Vikings want to be perceived–by other members of their own culture, and by posterity? It is not an altogether easy question to answer, for unlike many of the peoples they traumatized they were still pagan in the early stages of their story and therefore to all intents and purposes illiterate–in the Europe of the early Middle Ages writing was an accomplishment that came with Christianity. But the question is surely worth pondering, and it has the advantage of making us take a new look at our medieval sources. 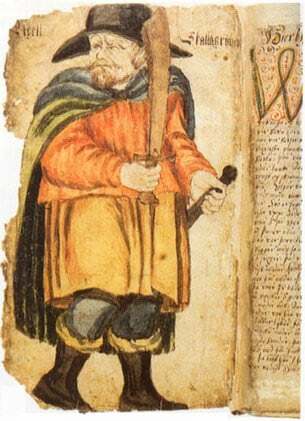 Our fullest information about how the Vikings wanted to be remembered probably comes from later medieval Scandinavian accounts that saw them as inhabiting a kind of heroic age. These are mainly contained in thirteenth- and early fourteenth-century prose sagas composed in Iceland. In themselves, these sagas wouldn’t be able to help us much, for although they surely drew from traditions that were passed down orally over the centuries, they are also products of their late-medieval writers’ interests and preoccupations. But they also often contain poetry they claim their heroes actually composed, and there usually seems little reason to doubt the claim. In what follows I will accordingly start thinking about how the Vikings wanted to be perceived by referring to some of this poetry. I will confine myself to what is generally considered the very best of this poetry, which comes from an outstandingly successful Viking by the name of Egil Skallagrimsson (ca. 910-990). The poetry that Egil and his peers specialized in–scaldic poetry, as it is now termed–is most importantly praise poetry, designed to commemorate kings and other prominent people, often in the form of quite long poems. But it also often treats exploits of the poet himself, this time in extempore single verses commenting on specific situations, and always in a highly self-congratulatory tone. It is extremely complex metrically and it uses a highly ornate metaphoric language–its complexity presumably helped ensure that it would be remembered even in an age that was for all intents and purposes without writing. But because it is so concerned with praise, it can tell us a great deal about the qualities the Vikings themselves held dear.